Being an innovative designer is not without its challenges. The creative process often demands a great deal of creativity and originality. However, the quality of one’s design does not guarantee success, as there are other factors that influence the growth of a business. Any free, capitalist system relies heavily on advertising as a primary method of content promotion. One must run an effective campaign that manages to capture and reflect the same level of creativity that is expected from the content itself. So how can one achieve this? A quick look at the past, and we would see that most of our history was shaped by the need for proper advertisement. It is the reason why most radio and television broadcasts are free. However, the marketing field has grown to a level that is beyond the reach of middle class business. If we were to set aside newspaper ads and bus stop posters, there is little you can do without a few tens of thousands of dollars. An unlikely solution came from the internet. Initially developed as a way for scientists to communicate with their peers from across the globe, it has blossomed into a virtual international infrastructure whose entire potential has yet to be charted. Its services are largely free or dirt-cheap, allowing startups to compete with even the richest of corporations. Basically, if used properly, the internet can be an enormous billboard that the entire planet can see. As a designer, this is a golden opportunity. Even with a very limited budget, one could purchase a theme, create a website, and start dominating his/her specific activity niche. A simple, bare-bones website can do the job, but it is less impressive than a customized page which includes a high quality WordPress theme. These themes are not just skins; they are useful kits akin to Swiss Army Knives. Each developer tries to include as many plugins and features as possible, preparing the customer for any situation. As a talented designer, this plethora of features will give you a blank canvas. You will have the opportunity to shape and mold your page, tailoring each detail in order to fit your specifications. This is a luxury that past generations of entrepreneurs could not afford, and as previously mentioned, the cost is negligible. If you will succeed in designing an impressive web page for your agency or company, your viewer numbers will skyrocket and your client base will multiply. Jevelin is a cleverly conceived and uniquely pliable, powerful and tech-savvy, modern and highly responsive WordPress premium multipurpose website theme. The most competent companion for webmasters looking to craft visually stunning, functionally flawless websites perfect for servicing a broad variety of website archetypes and usage cases across all imaginable industries and fields. Jevelin requires absolutely no coding knowledge in order to craft incredible websites of remarkable quality, owing to a vast collection of purposeful demo websites and page templates for niche and general markets and industries. You can easily customize Jevelin to suit your most exacting specifications through a completely visual process as well as advanced admin panel options that let you easily customize your header and footers styles and layouts, fine-tune your color schemes on each page or independently animate each of your individual elements to your liking. 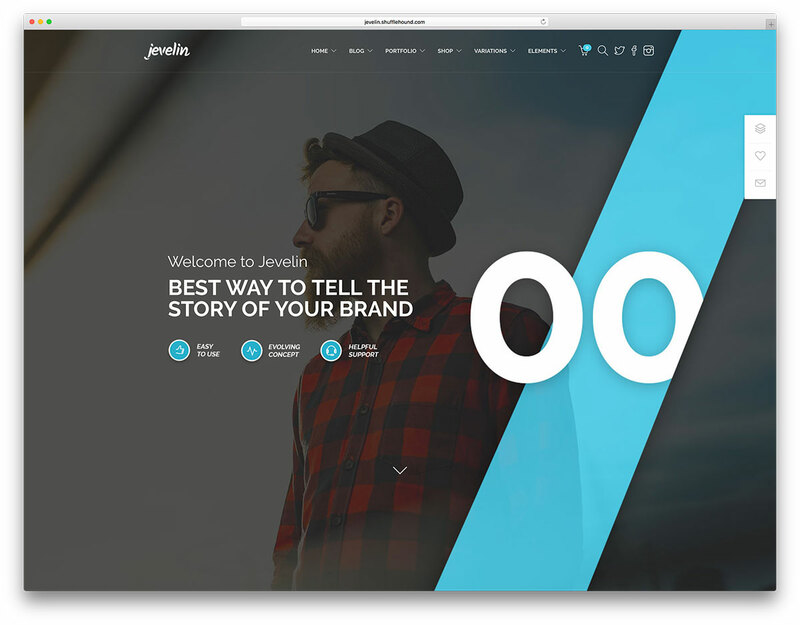 Highly widgetized, Jevelin is ideal for deploying a multitude of shortcodes in creative ways, while advanced background capabilities for your every section including Parallax and Video backgrounds that keep your websites dynamic and lively and your audience interested and engaged. 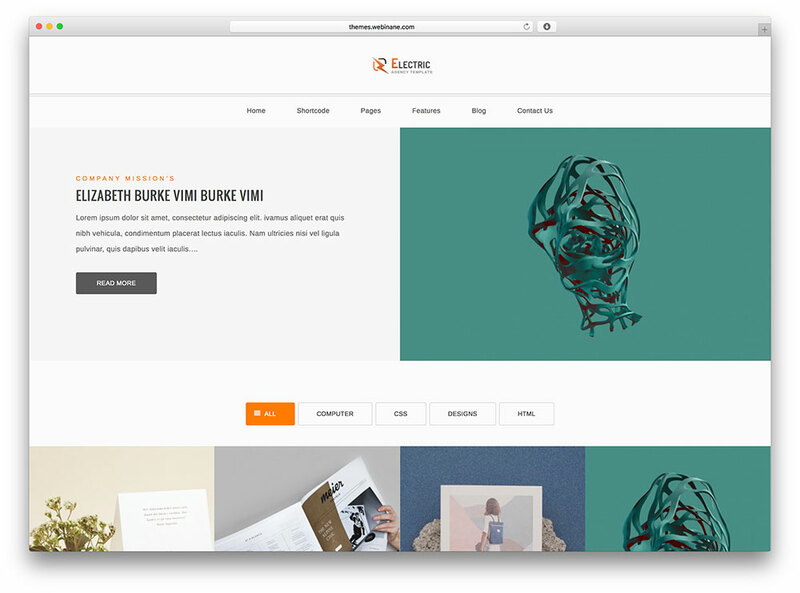 Multiple blog and portfolio layouts, built-in social sharing and much more awaits within. Check out Jevelin now! 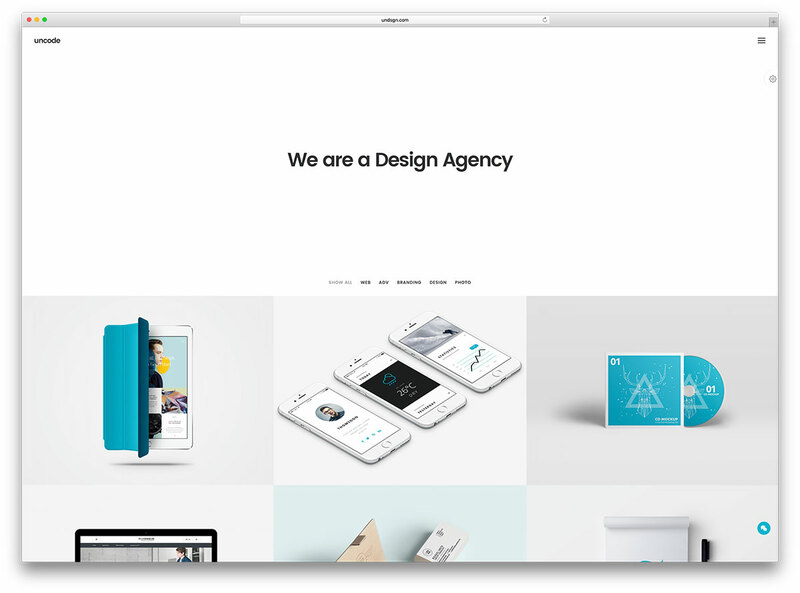 Adios is a stylish and responsive WordPress creative portfolio website theme. A fresh and stunning theme for building unique, modern websites. Perfect for all sorts of applications, Adios is nothing if not flexible. No coding skills are necessary to make the most of Adios. Simply select your desired demo website and fine-tune it in a matter of minutes. Customization is strictly drag-and-drop, accessible to webmasters from all backgrounds. Lightning fast coding combined with SEO enhancement makes Adios very competitive. You don’t need a big price tag to get high-end results with Adios. Elegant elements and modules are at your fingertips, sprucing up your pages in a flash. Introduce your staff, showcase your products or show off your portfolio with Adios. 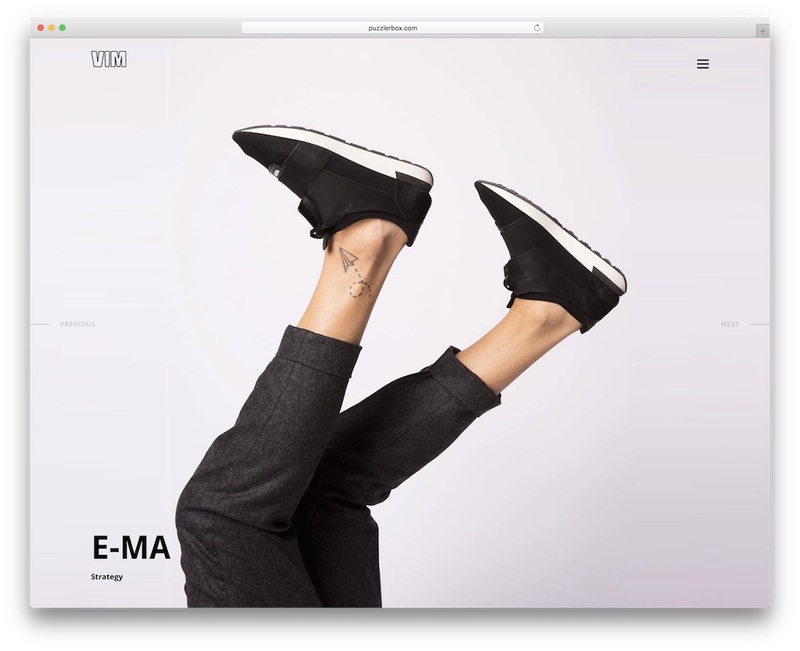 Seamless, lightweight animations keep your pages interesting and engaging. Your audience will connect with your content in a memorable way. That’s why artists and creative webmasters love Adios. It’s the ideal conduit for them to channel their artistic vision online in a few easy steps. The depth and flexibility of the tools provided is astounding. But in-depth documentation will take you by the hand through the entire process. Strut your stuff in style tonight, with Adios at your side! Divi, due to its insane versatility and 100% customizable web design, is also a WordPress theme for designers. 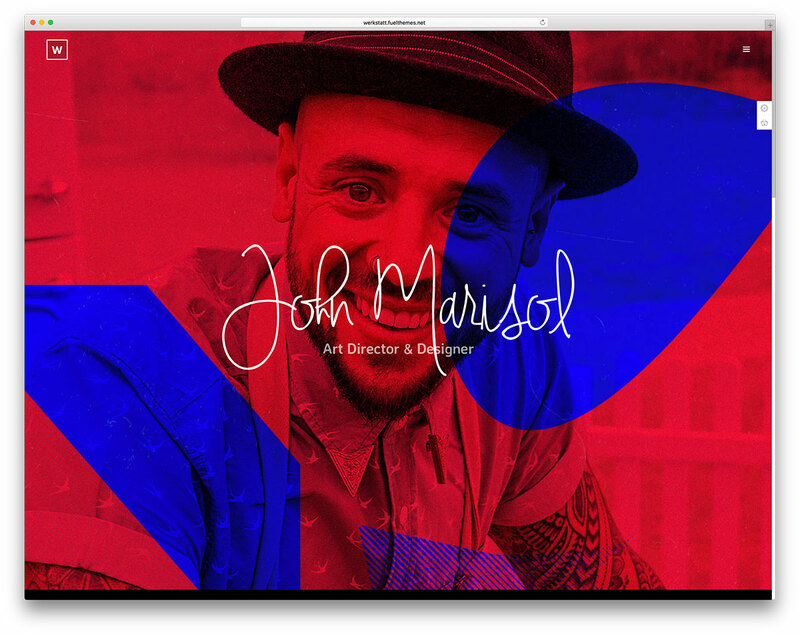 With the page canvas, you can have your online portfolio up in a mere minutes. However, you can always take the extra step and introduce your signature style to Divi and forge your dream website. With the amazing drag and drop site editor, you can make your page visually, without the need to get behind the scenes, touching source code. This comes very handy for both beginners and professionals. 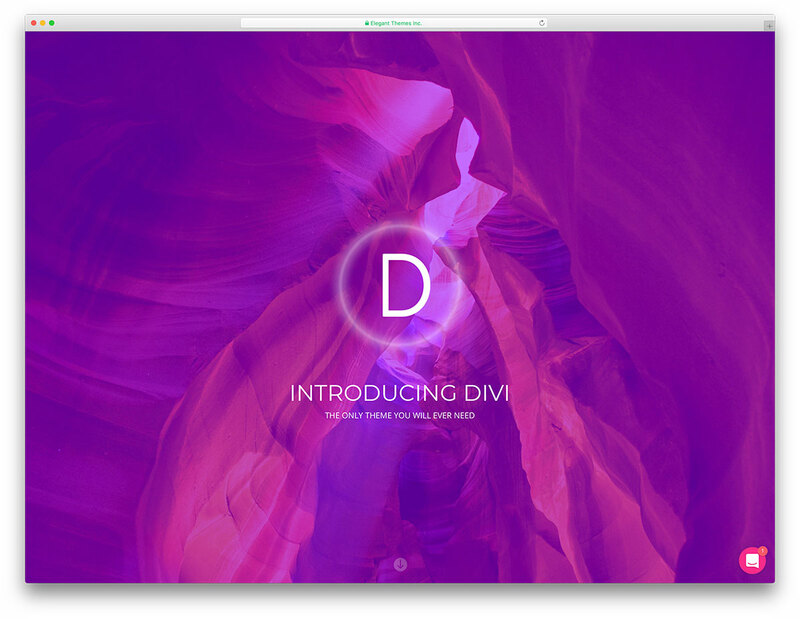 The list of features Divi comes with is endless. From ready-to-use layouts and RTL readiness to mobile and retina compatibility, fantastic security and top-notch support, you get it all and a ton more with Divi. Without breaking a single drop of sweat, you will have a designer page up and ready to entice new clients quickly. 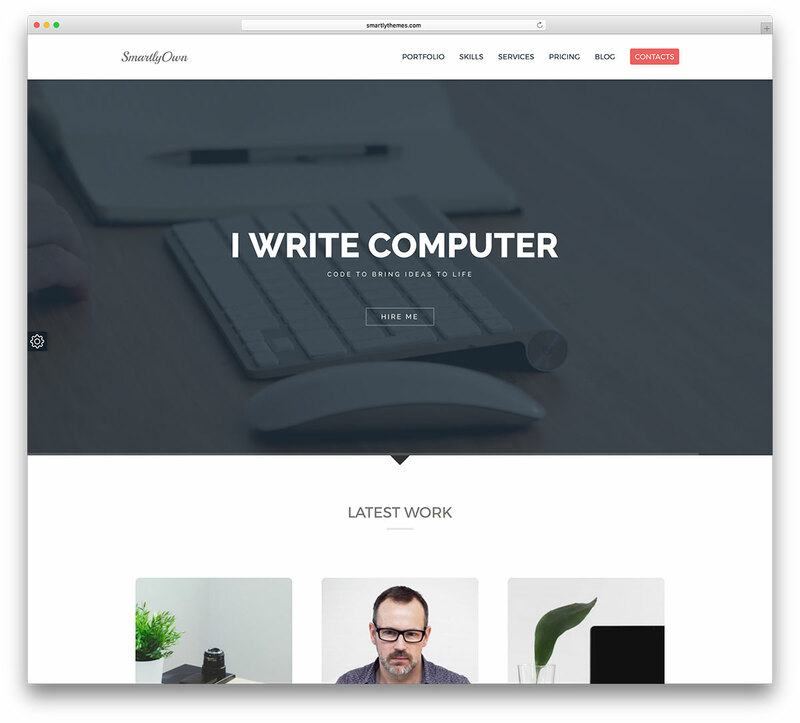 Uncode is an imaginative and resourceful, wonderfully responsive WordPress creative multiuse website theme. Carefully constructed to be a general purpose platform capable of servicing the needs and requirements of websites across a range of fields and industries.with seamless ease and speed. 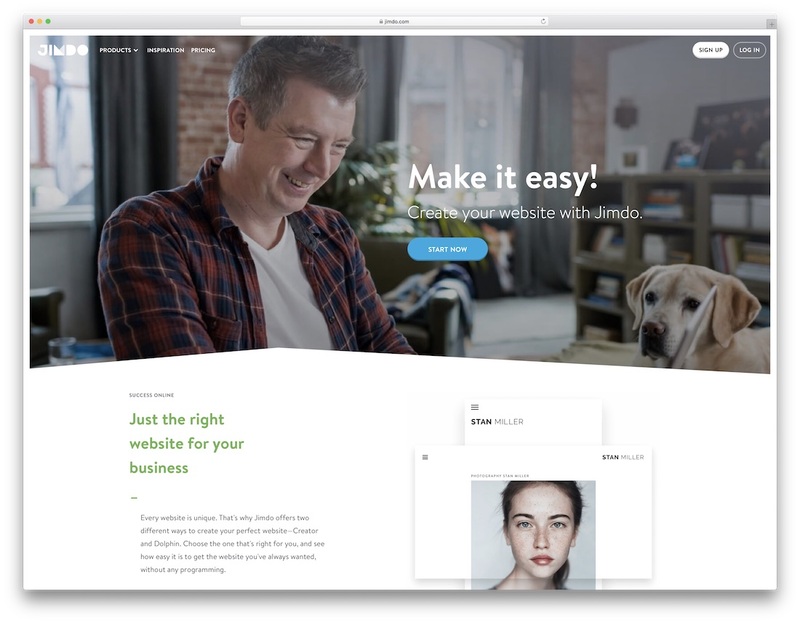 To achieve this, Uncode comes with the premium Visual Composer drag and drop page building, greatly simplifying the design and construction process for webmasters of any background or skill level to achieve professional quality results. 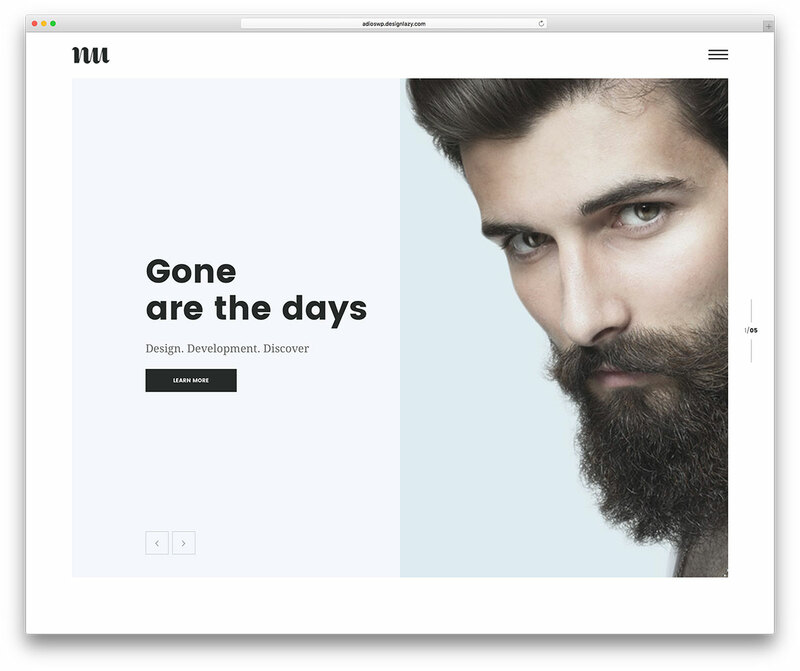 The gorgeous premium Slider Revolution plugin also comes with the package at no additional cost, as is the clean-cut Isotope masonry grid plugin, essentially giving you power over every nook and cranny of your website’s look and feel, without having to write a single line of code. Uncode counts with over 30 conceptually unique, graphically polished and very creatively inspired niche market application demo websites you can swiftly make your own through advanced theme options and customization tools, add your content and go live in your own pixel perfect website. Thoroughly based on Bootstrap, Uncode’s modular design makes this powerful theme a sound ally in all your website building pursuits. Try Uncode today! If you are on the hunt for a sophisticated, modern and easy to use WordPress theme for designers, VIM is an excellent alternative. It brings to the table all and everything you need for the creation of an outstanding page. Use it to market your services in style and take your business to a new degree. You do not really need to be tech-savvy to have a chance to work with VIM. Anyone, even a complete beginner, can kick things off like a champ with VIM and all the layouts and features it comes with. Some of the amenities of VIM are two headers, five hover effects, floating columns, parallax and video backgrounds and advanced footer options. VIM indeed includes several samples, outstanding shortcode functions, as well as MailChimp and Contact Form 7 support. Push your design works with the creative and interest sparking VIM and win the game. 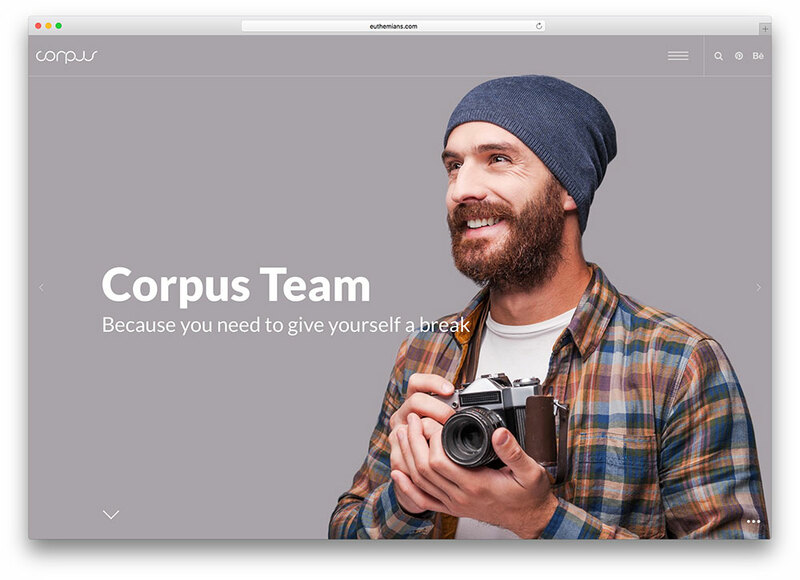 Corpus packs the punch to make your content vibrant and pulsating, with Retina ready graphics that’ll make colors jump out of the screen and smooth, cutting edge CSS animations that will perk up every aspect of your user’s navigational experience. Get in the driver’s seat with the powerful Redux framework admin panel options and WPBakery’s Visual Composer. Once you’ve crafted your dream pages with all the convenient shortcodes and widgets at hand, you’re ready to start filling them out with your content. Videos, high resolution images, image galleries, plentiful portfolio options, portfolio carousels to show off your work, Featured sections to showcase your brightest works, HTML5, CSS3 and LESS-powered impressive Parallax scrolling and background sections, full-width portfolios, backgrounds and elements, endless sidebars and incredible sliders. Corpus is a visual bonanza, ready to empower your content to draw all eyes online to it. Are you ready for all the attention? Calafate is a colorful and responsive WordPress creative portfolio and WooCommerce website theme. 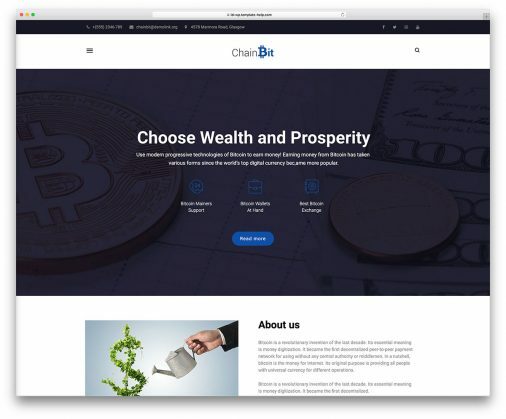 A resourceful platform for constructing unique websites with ease. A handcrafted theme honed for creative freedom of expression. Also, you can shape your pages within minutes in exquisite style without any coding. Perfect for showcasing your content to your audience in clever ways. Additionally, it is a unique portfolio grid charms your visitors with your accomplishments. Convenient masonry wall and standard item grid layouts are at your disposal as well. Tons of crafty portfolio hover styles are yours for the choosing. Designers love Calafate because it lets them express themselves with freedom. Awesome Hero features with custom fade ins are but a few clicks away. You can combine these with single images, image sliders or even self-hosted video content. A creative blogging layout is also provided for you to communicate with your audience. Websites live and die by their content production, and Calafate lets you turn it up a notch or two. With impressive commercial features, designers can market their products and service packages without complication. The WooCommerce platform handles your payment gateways and checkout pages out of the box. Give Calafate a go today! So, you are on the hunt for the best WordPress themes for designers. To your luck, you came to the right place. Bridge is an outstandingly gorgeous, effortless to use and highly customizable tool that will get your brand out there. With the theme, you will not have a problem winning over new clients and get your work liked on a global scale. After all, with a simple website, you can reach all corners of the world, getting everyone to see what you excel at. When it comes to Bridge, creativity knows no limits. The only limit you may have is your imagination not operating at full whack. Think outside the box, implement your signature touch to it and you can have an impactful website advertising your design works. Start with what Bridge has at your service and go from there. Creative minds, ready to make a difference, here is Sahel, a spectacular and modern WordPress theme for designers. With its multiple creative, astonishing and appealing to the eye demos, you can construct a web space that will take everyone’s breath away. Your portfolio will stand the test of time, always pushing your works and projects in a unique and impressive way. With Sahel, you can also expand to an online store and sell your artwork and other items that will help you take your career to new heights. A horde of layouts, shortcodes, widgets and other useful elements are ready and set for you to utilize. In short, you can customize the look of Sahel any way you want, but it’s the very many samples that you gain access to that will do the trick. 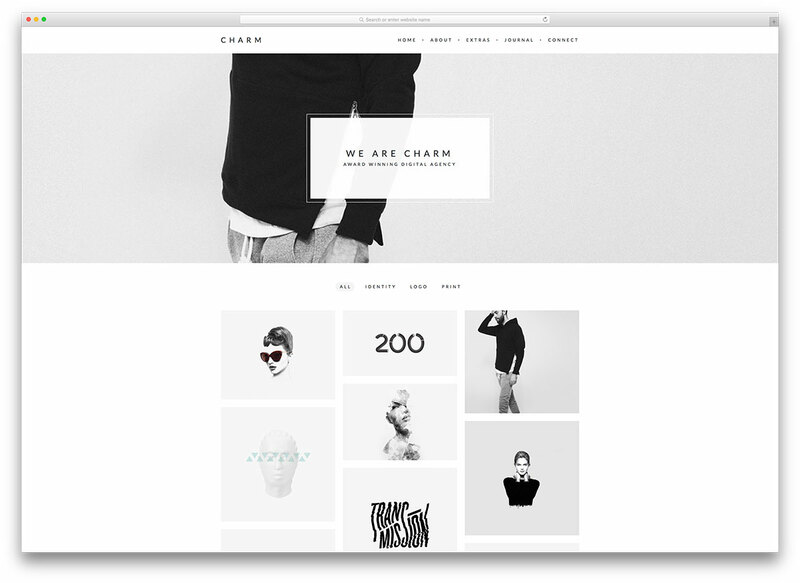 Charm is a sophisticated WordPress theme that has been created with an eye for style and a deep sense of beauty, resulting in an engaging and experientially delightful theme that is very intuitive and easy to master for webmasters of any background or skill level. 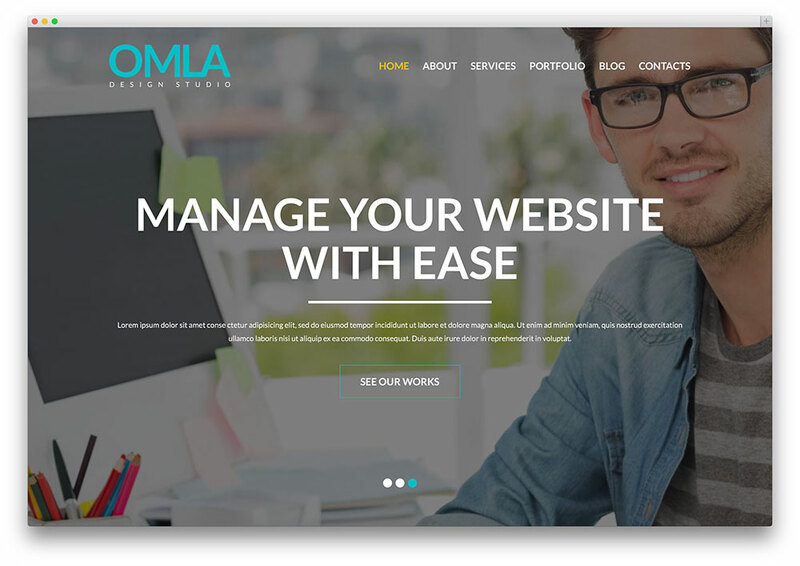 This theme has been decked out with all the necessary tools, formats, page templates and plugins required to successfully set up a sleek and enticing professional portfolio or freelancer website within minutes, without ever writing a single line of code. Charm is very clever and tech-savvy, and it has been coded with the utmost efficiency in order to create the most lightweight pages on the web, sacrificing absolutely none of its Retina ready graphical prowess while still managing to conquer the fastest loading times on the market through the smart and selective use of powerful HTML5, CSS3 and Bootstrap technologies, with splashes of hardware-powered Parallax visual effects on custom sections as well as for infinite scrolling features. An ideal for design industry websites of all kinds, ranging from freelance designer portfolios to professional design firm websites, mobile designer application showcases; web designer portfolios and much more. If you wish to exhibit the breadth and length of your content to the world at large in a brilliant and polished presentation that puts you completely in the driver’s seat for every step of the website building experience, Throne is your theme. Equipped with tons of widgets, gorgeous CSS3 animations, sophisticated HTML5 YouTube and Vimeo support, functional Contact Form 7 page templates and tons of Homepage, Portfolio, layout and grid styles, Throne is a scaffolding for you to prop up the design projects and portfolios of your wildest dreams. Step up to the Throne! 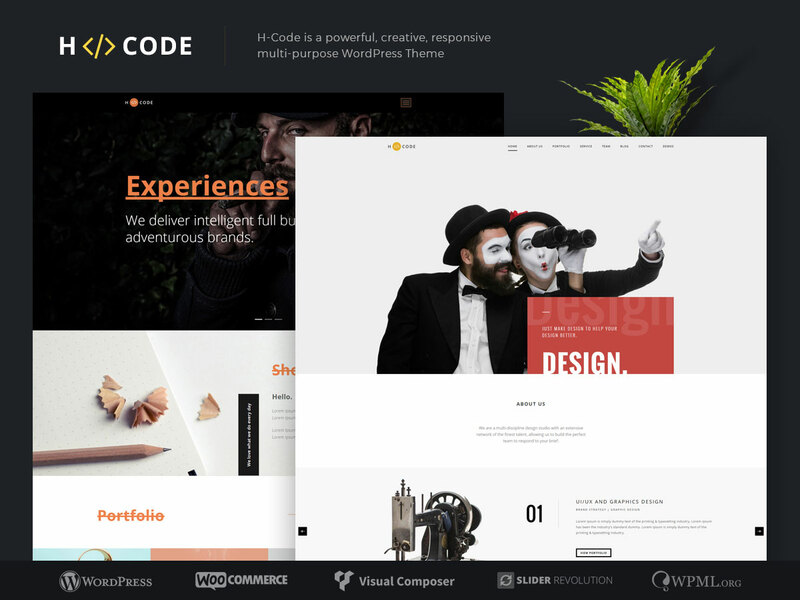 H-Code is a multipurpose WordPress theme made to impact. It uses premium quality pages builders and framework, providing tons of pre-built choices. It’s a theme meant for diversity, but you will find it to have many creative and design inclinations. H-Code comes with +55 homepages divided on two sections. These are multiple and one page layouts. It includes 3 amazing sliders (Revolution Slider, OWL Slider and Bootstrap). Photos and videos galleries can be handled with Lightbox. H-Code has an admin panel simplified and influenced by Redux framework. It uses many shortcodes that avoid the need for coding. You also get Google Maps, WMPL, WooCommerce and Contact 7 form compatibility. H-Code is open to social media sharing as many of its elements are linked to publish on platforms. You will find fonts and icons o f very good reputation featured for posts. 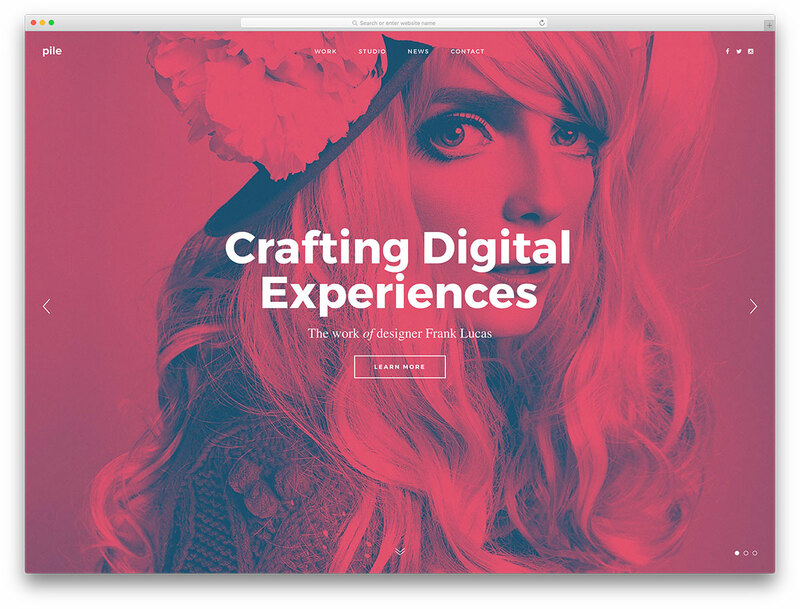 Go through the layouts section to find cool blogs and portfolio styles for designers. This theme is thought to satisfy the artistically gifted first and then everyone. This is, however, without neglecting its great performance. H-Code has vast documentation, HD narrative tutorials and a well reviewed support team. Enjoy this pixel perfect ThemeZaa creation. Go for H-Code for designers! Stash is a virtual canvas to make your personal space truly your own. It will let you set portfolios and to showcase your work, but also to get yourself out there. This well-documented WordPress theme is for you! Stash is somewhat an artistic stage for you to perform. It is adequate in all ways for multimedia upload and graphics emphasis. Display you work in more than 7 amazing portfolios! Set galleries with Slider Revolution or make custom posts with Essential Grid. Stash is malleable enough to support one page and multipage formats at the same time. It comes with 48 demos!! And most of these are focused on artistic/creative áreas as you need! Use its 260 builder blocks and 85 elements to get crafty. Do not limit your creativity. Stash is speed and SEO improved: capability to support files is amazing. It features unlimited colors, supports CSS3 animations and customizable backgrounds. Make the best experience for you as a designer with this complete HighGrade creation. It is regularly updated and has tons of support 24/7 for at least 6 months! Give it a good look! Start up your own personal Project and even make it a business on the way! Use Stash for designers! Web Design Agency is an eye-catching theme built to attract customers and increase sales. A lot of website design agencies these days use website templates to make website development process fast and efficient. This theme is ideal for web development companies, digital marketing agencies, online marketing agency and many more. With it unlimited color options, you are able to choose the color scheme that leaves a positive impression to your site visitors. 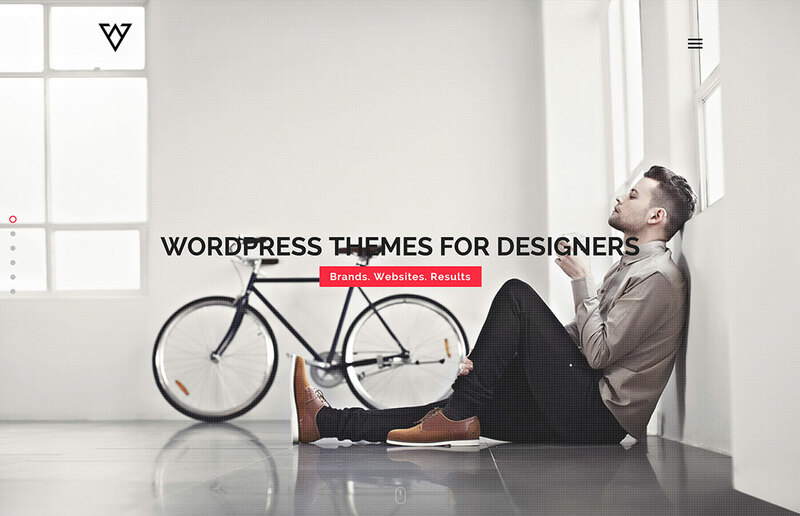 This theme is perfect for showcasing your creativity in designing inimitable websites. It includes custom post types that you can use for attracting clients, displaying your best works, team members, contacts and many more. 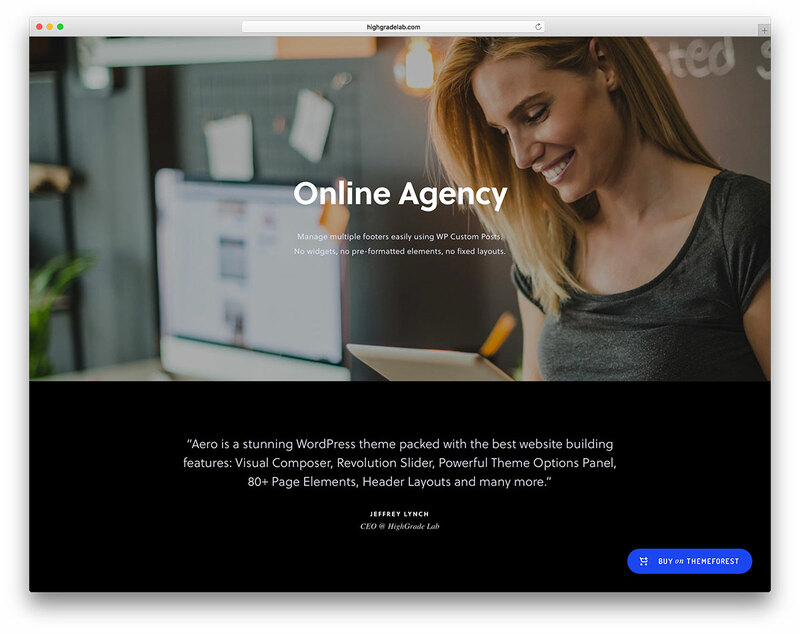 Web Design Agency includes awesome theme features such as sliced PSD files, back to top button, calendar, dropdown cart, dropdown menu, Favicon, Google map, Google web fonts, social options, tabs, tag cloud and tooltips. This modern music theme is built with best SEO practices in mind to help your website acquire more traffic and rank well on search engine. 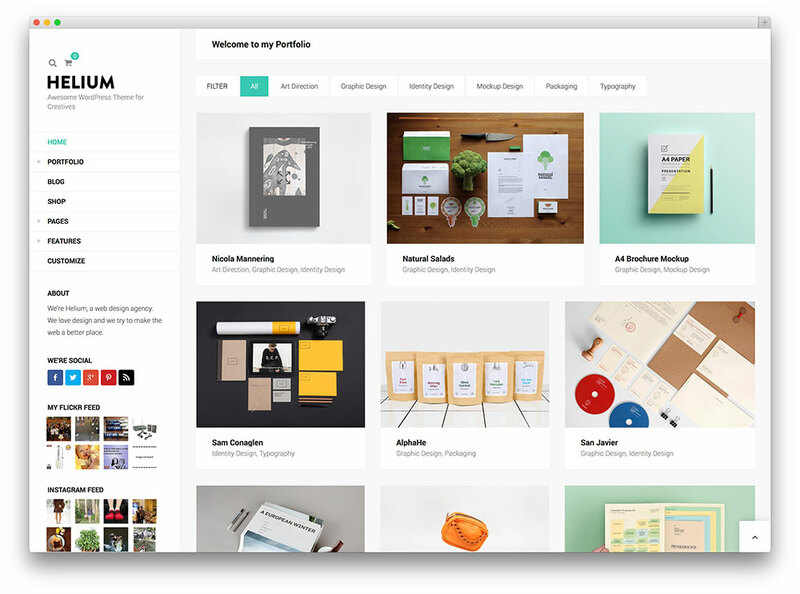 A creative Portfolio WordPress theme that includes a stylish design with a neat touch. The overall aspect is Polygon based, giving your content its own charm that users appreciate. Currently the theme is at the 1.2 version, with more to come. Firstly, potential customers can rest assured that NO8 is completely responsive, as it can display beautiful, content on any device or screen. The user will not only receive constant updates, but the support of a dedicated team. Be sure to preview the theme by visiting the official website, in order to make an informed decision. This allows you to experience the content without the need to buy it first. It features .po and.mo files, resulting in the website being fully translatable. Everything about this product has been simplified and streamlined, and basically anyone can use it. No specialized coding knowledge is needed, making NO8 accessible for both and visitors and admins. There are unboxed and boxed page layout options, and a per-page sidebar position control feature. Widgets for Dribbble, Twitter and Flickr are also there along with per-page footer area control. You will have the option to override and edit files and theme functions, and your website will be friendly towards third party plugins and features. There is a personalized sidebar generator, a limitless number of side bars, advanced short codes for sidebars, and customizable widget length settings. Helium’s versatility is due to its number of features, giving Helium a tool for every occasion. It has 3 distinct portfolio types. Additionally it has a wonderful blog that is supported by the AJAX navigation network. The developers guarantee that this theme is the best product around. Displaying your innovative projects is fine, but you may also want to sell some merchandise. Helium includes the reliable Easy Digital Downloads plugin, allowing the owner of the site to create a profitable online store. Additionally, the live customizer will present you with every conceivable personalization feature. You will be able to edit the dimensions of your headers, swap page color palettes, and alter the title of the page, and the tagline. The user response was positive, as customers appreciate the plethora of choices that they are given, in addition to the almost instantaneous loading speeds. It is also ready for WordPress 3.9 upwards, and it is built on the famous Bootstrap 3 framework. All of the features, pages and codes are optimized for search engines, making it easier to gain high rankings. The code itself is well written and optimized. The developers have added plenty of premium rate plugins, free of charge. 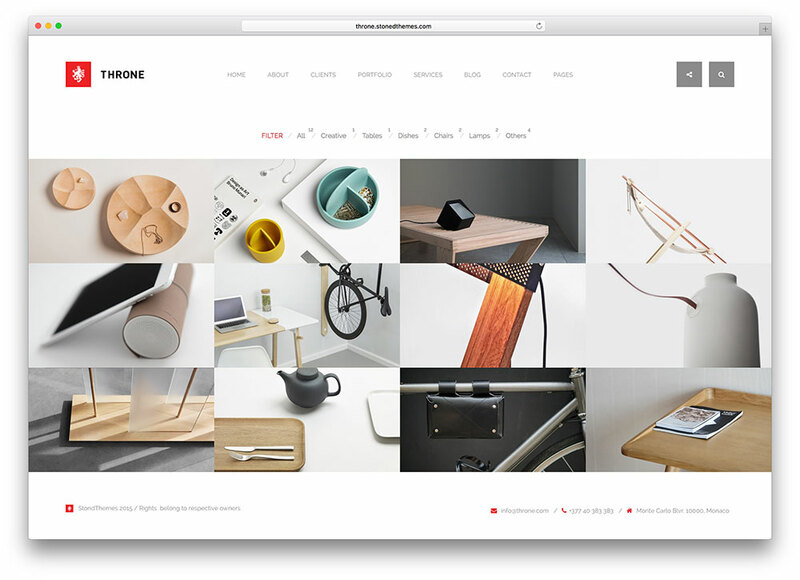 Werkstatt is a sharp and responsive WordPress creative portfolio website theme. A robust resource for webmasters seeking fast and intuitive website creation. Creative freedom and ease of use are the core design values of Werkstatt. It packs the tools to handle a broad range of professional and personal applications. Designers and studios in particular love working with Werkstatt. 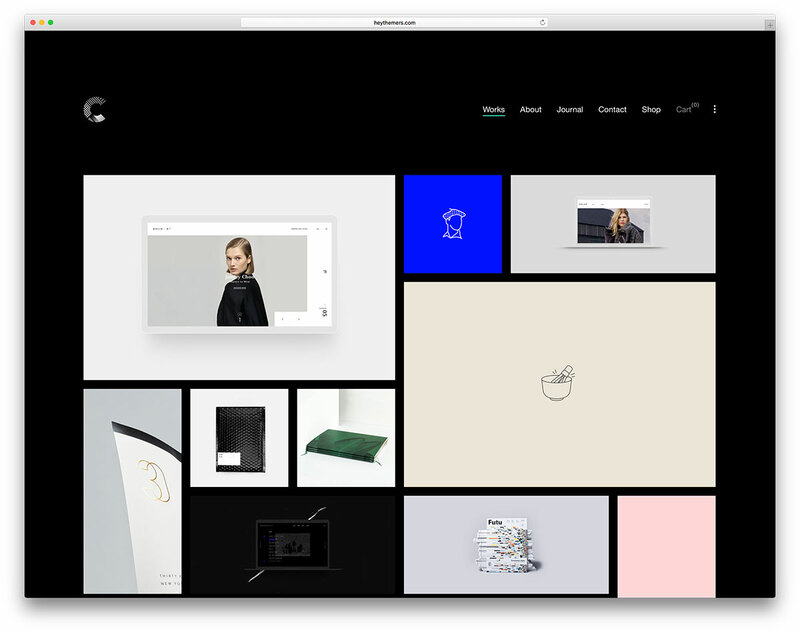 Its curated collection of portfolio templates and styles is downright cutting-edge. It’s perfect for showcasing your finest visual works under the most favorable spotlight possible. It also handles video and audio content without hassle. Plentiful templates are available for such content through a single click. 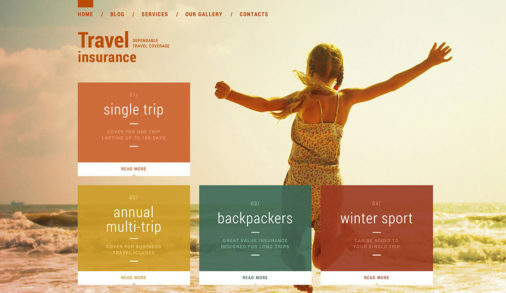 Amazing hover effects and animations are also at your disposal. Additionally, you can customize their images, borders, colors and position. Six different animations are yours for the choosing as well. You can also customize your menus in a thorough fashion as well. Craft every bit of your end-users’ navigational experience. A selection of beautiful custom typographies is yours for the choosing. Fiddle with them through every element and module of your website. There’s no end to what you can with Werkstatt at your side. Check out Werkstatt today, and take your professional projects to the next level! Bring back the enjoyable moments in creative design by choosing Pixzlo as your web design platform. As the ultimate WordPress theme for designers, it has more than ten demos, 260 blocks and hundreds of variations to choose from. Pixzlo is also packed with various features. Some are Revolution Slider, color schemes, loading speed optimizer and more. Not only that, but you can start your online store instantly as well. You can set up order forms for your customers, as well as require delivery and payment methods. Lastly, you can grow your business and online presence with promotional tools and benefit from SEO readiness and social media widgets. 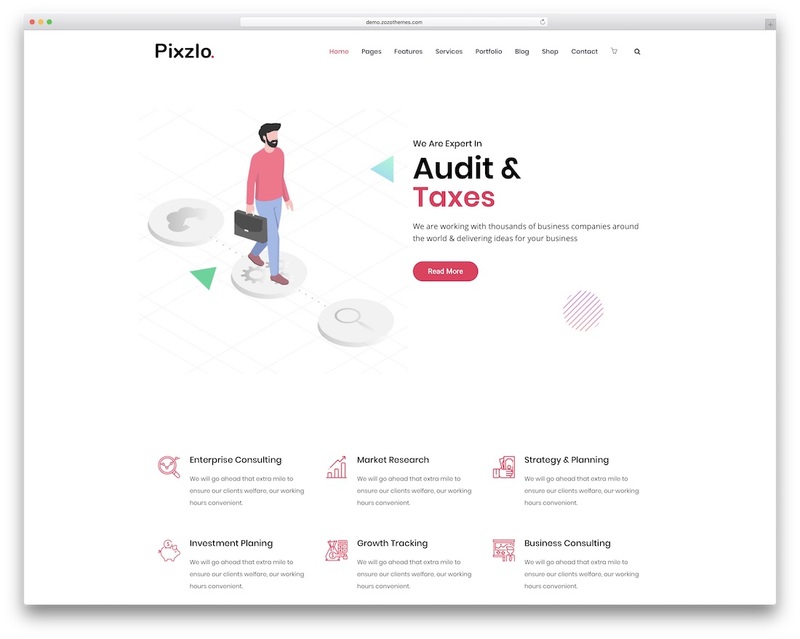 With Pixzlo, you can hammer out a fantastic online presence for your freelancing business or design agency and enjoy a steady growth. Do not forget, enhance the default style of Pixzlo with your personal touch and boost your web presence to a new degree. A winning combination of groundbreaking features, captivating layouts and reliable customer support puts Sekko on top. 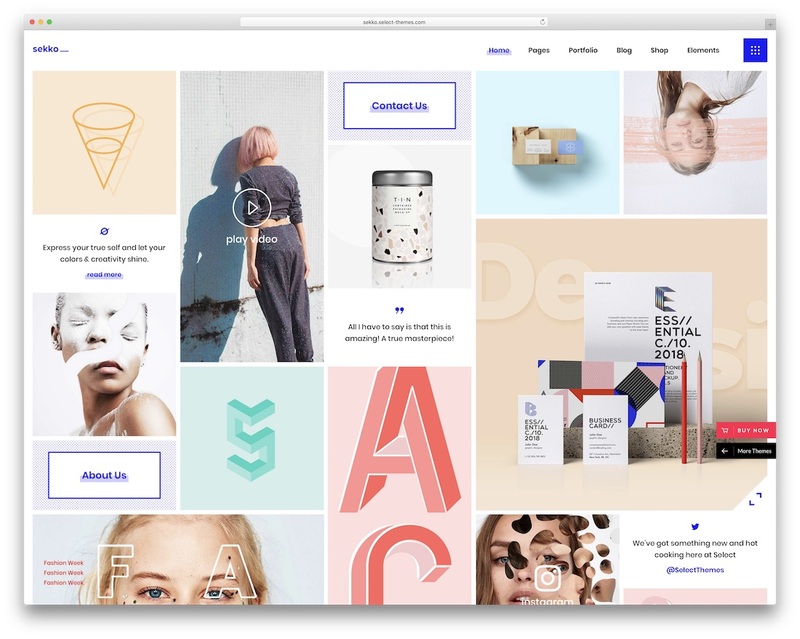 No wonder why this WordPress theme for designers has been doing well, offering so much material for bringing into being a creative portfolio. And to achieve professional and sophisticated results, you will need to know no code to make it happen. Every demo layout and ready-made element has a modern and professional look with a fully responsive design. Sekko also has its own set of powerful creator tools with lots of useful options to manage your site. Add various effects, shortcodes and inner pages and unique portfolio types to wow your prospects. It is built with passion and love which relates so much to its customers. Sekko lets you engage and reach out to them without the hassle. Smartly Own is a WordPress theme oriented for Web developing and design. It is suitable for experts on the topic who are too occupied to put particular effort in personal creations. Thus they need a simple and smooth display of information. It is because of this that you will find lots of rare useful features all together. Smartly Own comes with 2 prefabricated demos to start. It has both a One Page demo and Full Version one. Smartly Own has a basic design of 2 columns and 3 color variations. It also uses 8 tags mostly dedicated to lightweight priorities. The concept of this is to serve as an online CV demonstration for companies to hire. Smartly Own comes with Newsletter, Parallax and an author bio. Additionally, its quick setup is thanks to its basic use of Visual Composer and Slide Revolution. It also has a responsive layout. Smartly Own works to portray skills and pricing tablets. Blogs and social media connection is also available. Additionally, it uses Facebook, Twitter, Pinterest and Google+. Smartly Own is compatible with browsers such Chrome, Firefox, Opera and Safari. Enjoy the simplicity of this Smartly Themes creation for your life comfort. Try Smartly Own right now! Developed by the elite author KROWN THEMES, they included a live preview and some screenshots for you to sample. With over 860 separate downloads and counting. You can expect regular updates from the developers, as they constantly tweak their product in order to offer the best experience possible. This theme is powerful yet elegant, as it tries to aim to complement your content and show off your creativity. 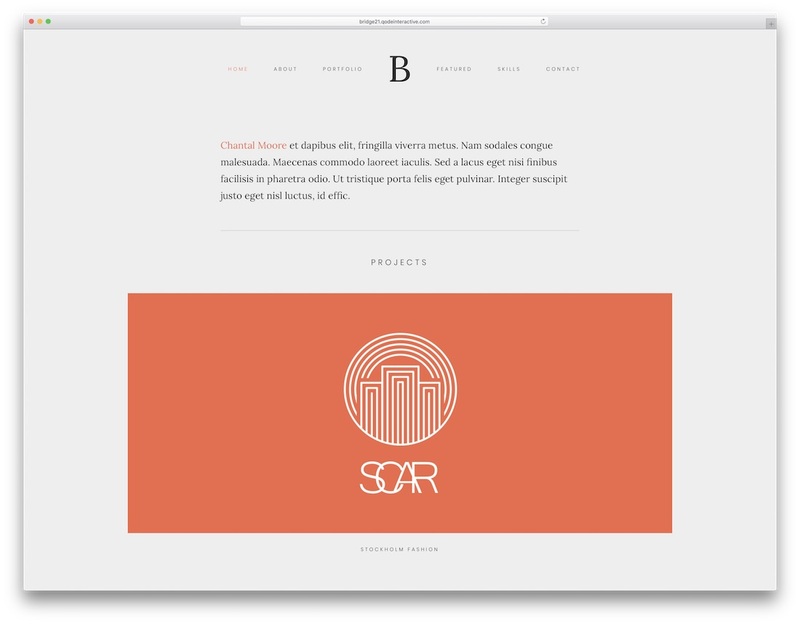 Also, based on an impressive modular concept and an enticing masonry grid for your portfolio. It is filled with many options, features and short codes, resulting in a product that can be applied to any site, regardless of its business field. KONCEPT knows that some designers want to commercialize their products or service directly from their website. The WooCommerce plugin can facilitate these transactions, providing a sound infrastructure for online trading. A theme website can demonstrate the good taste of its owner, as it is the first and maybe only thing that the customer will interact with. Thankfully, KONCEPT does not lack customization options. There are several ways of navigating your site’s pages, including the sidebar, full, classic or minimal styles. Also, if you purchase this product, you can rest assured that it will look amazing on every screen, including those of mobile devices. Additionally, every single element of your site scales down easily to accommodate smartphones and tablets. We should mention that KONCEPT has a modest price, and it is fully translatable and RTL ready. The theme can impress clients with it speed, and it features valid HTML 5 coding. 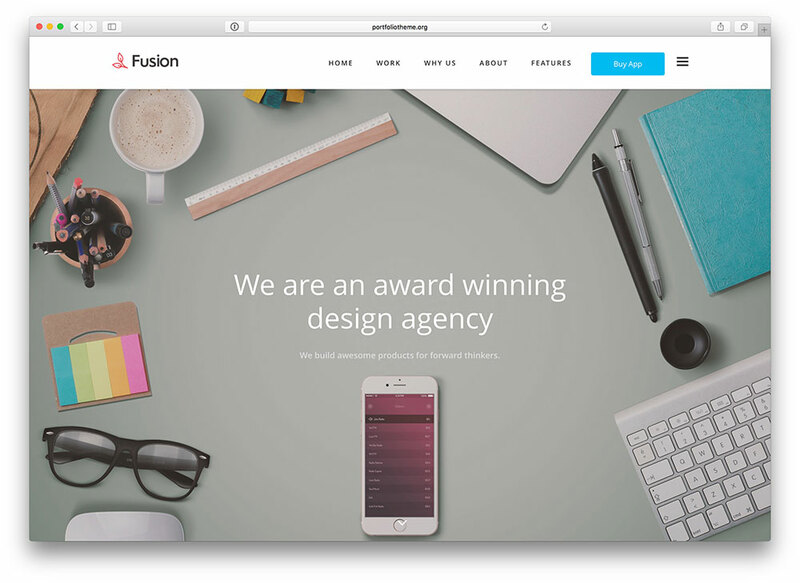 Fusion is a fully-responsive WordPress theme suitable for app developers and creative design agencies. This SEO-optimized theme covers all the features individuals or firms require for their creative portfolio of apps, products and/or services. It employs a clean typography and whitespace effectively, aiding developers in showcasing their mobile apps or software products without omitting any element when viewed either through mobile or desktop. With endless choices for colors and more than 500 google fonts in the Theme options panel for page headings, backgrounds and sidebars. With a default of 6 custom post types and more than 1500 retina-ready icons, developers can build either a single-page or a multi-page site. They can set up custom sidebars on multiple pages and posts especially if specific sidebar widget elements are to be incorporated on a page or a post. You can also use a boxed layout and modify it with backgrounds which can be a custom color, pattern or an image. Another feature you could furnish your Home page with is sliders, Premium Revolution slider, Nivo slider and Flexi slider which can be placed in any other post or page and is accompanied with a touch swipe support. The shortcode builder tool in WordPress visual editor includes shortcodes for videos, parallax backgrounds, buttons, tabs, sliders, blog posts, contact form, socials, icons, columns, quotes and portfolios/galleries. Fusion supports WordPress gallery shortcodes with up to 9 columns and captions. Setting up portfolios and galleries could be done either through the built-in WordPress gallery builder or the option, gallery custom post type. 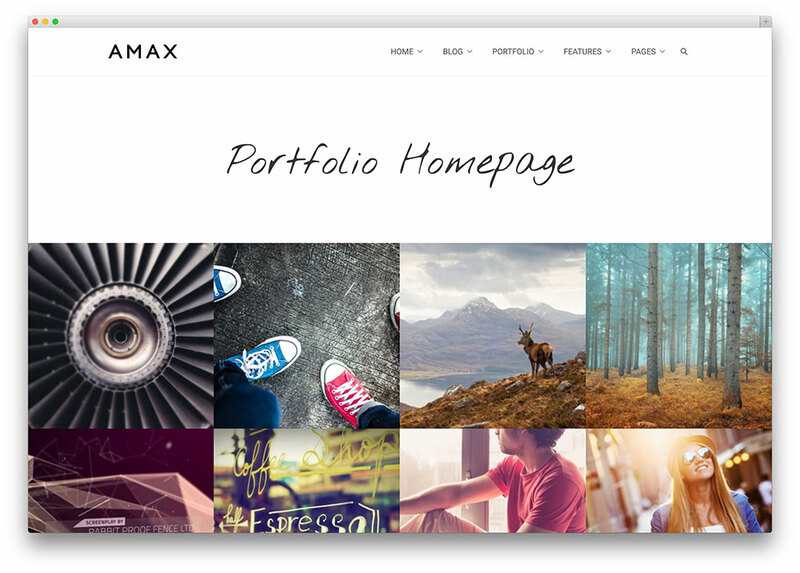 Amax is a quality WordPress theme that can enhance your website, guaranteeing that it will attract more viewers. This is a product for the modern age, given its outstanding feature roster, incredible versatility, and relentless pursuit of perfection. Indeed, it is capable of adapting to any site, regardless of its niche or target audience. Additionally, the developers designed it to offer a streamlined experience for users, as it has earned very high scores in Google Page Speed tests. You can easily import demo content, as it requires only a single click. Amax lets you choose between two very popular sliders: the Layer Slider and Slider Revolution. Both of these products are outstanding, and many WordPress users would cherish the opportunity to use them. Eye-catching Video or Parallax backgrounds can add another dimension to your already impressive website. Both as an admin or as a page visitor, resizing and compatibility issues can negatively affect your experience. With Amax, those issues are no longer a cause for dread. Your site will be entirely responsive, capable of displaying and adapting content to any platform. This will enhance the reader’s experience, and allow the site administrator to manage content while on the move. You can also view pages on high resolution Retina Displays. For more information about this theme you can read this detailed review. When it comes to flexibility, Electric is second to none. Just like its namesake current, it flows and adapts to any situation. You can use it for massive, corporate websites, or small, charming, personal projects. Regardless of your needs, this WordPress theme can meet them. It has included the revolutionary Layer Slider, one of the best plugins on WordPress. Thanks to its implementation, users are able to create slides with multiple layers, breathing life into an otherwise boring succession of images. In addition, it has incorporated full HD graphics and stunning transition effects. Visual Composer is arguably the top customization plugin for websites. Also ,it allows for easy customization of any site element. Additionally, you can use the Drag and Drop technology to turn a complicated process into a very simple practice if dragging elements across the screen, and dropping them into place. Although most themes offer several header variations, none can hold a candle to Electric headers. Each has its own refined polished look. It is sure to impress your site visitors. Also, you can make each of them. Custom colors are available, as users get to pick something that suits their taste. For more information, be sure to read the expansive online documentation. 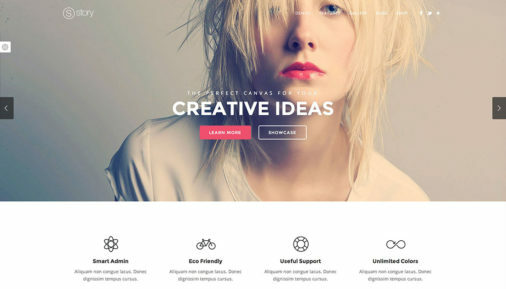 A well-constructed WordPress theme that is made for creative designers. It is currently at the 1.3.1 version. The creators added a live preview to this theme, along with some screenshots. If you are having problems during the installation process, the developers have included some informative video tutorials, along with some impressive online documentation. Pile is versatile, making it ideal for displaying personal projects and portfolios. 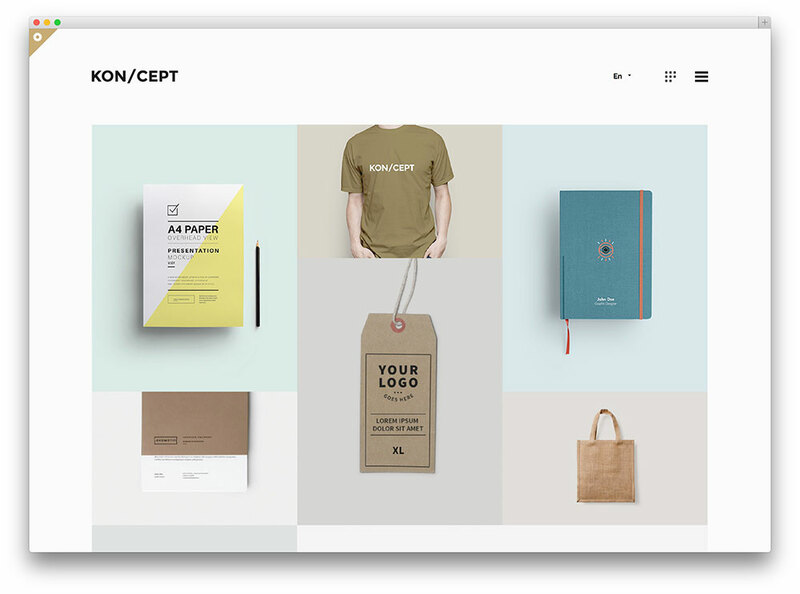 Typographers, creative agencies, photographers, and art illustrators can use this awesome theme. You need to showcase samples and demonstrations, and thankfully, Pile has everything you need in order to make that happen. The developers attempt to strike a difficult balance, making their product fit for business, yet artistic and full of personality. This also creates a nice feeling of restrained energy and untapped potential, which can only be accessed by the best designers. Additionally, it makes good use of screen space, where you will get the impression that there is something marvelous hidden beneath the all-too familiar layout standards. Between page blocks, the theme employs seamless parallax scrolling, guiding your gaze towards specific areas of your screen. Also, this is a tour without words, and an excellent way of demonstrating your mastery over your craft. All of its features seem to have paid off, as Pile has been downloaded over 580 times, and counting. Setup is easy and intuitive, so you will not have to wait a long time. It only takes a few minutes from the moment of purchase, until the site is up and running. User friendliness plays a key role, as the theme is expected to be easy to understand, even by those that are not that tech savvy. I like the nexus main header style. Nice Collection! Thank you for your feedback! Nexis is a great theme and I can highly recommend it if you are looking to create a simple portfolio or corporate website. NewArt theme is good because it is bright and colorful. Love it! Meh. 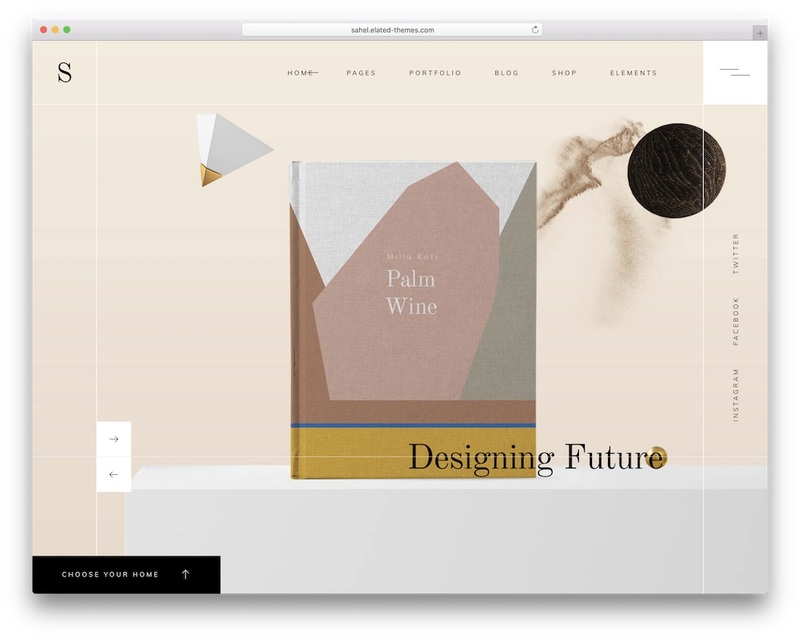 These huge, wide, open styles of responsive themes are beginning to become passé. I also don’t feel these designs direct the customer to a quick call to action super effectively. Does anyone have recommendations for something a little more modest and contained? I feel the same. Did you find anything? 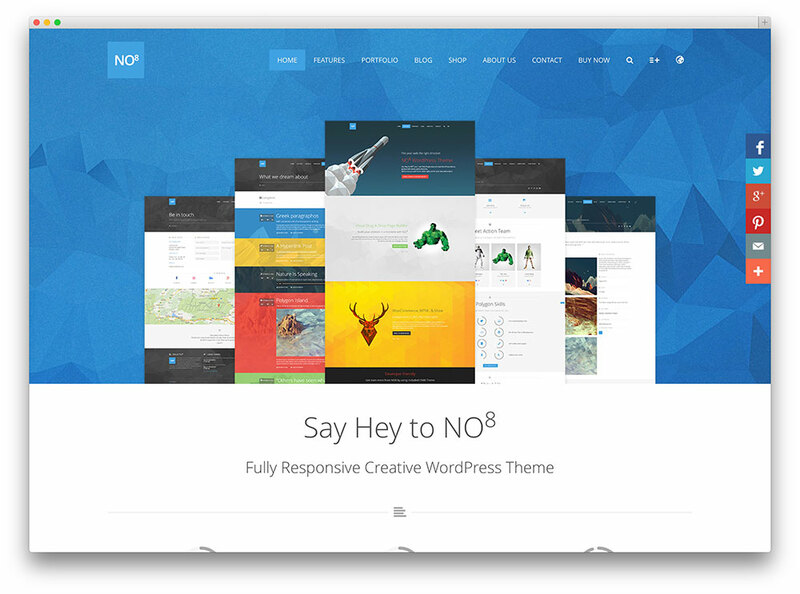 Sir i like no8 wp theme, can i get that theme for free? Unfortunately, we don’t have any active giveaways for this theme. You can follow this category to be the first one to find out about giveaways. Yes I do agree with Aigars, you don’t have any active giveaways for this theme. Thanks a lot for sharing this content with me. I could suggested you some wordpress they might give you that solution. Hi, Your website is not loading images well. I refreshed page 2 – 3 times. But it do not load images well. Thank you for reporting it! We’ll look into this problem. So I run a WordPress website and it’s pretty mobile compatible. However, I want to change some things and the current developers don’t want to help. Therefore I’m in the market for an actual developer that can assist in the changing of a mobile compatible theme. I saw you listed themes here, but I’m looking for actual people, or groups that are willing to either design from the ground up, or edit pre-existing themes. Unfortunately, we don’t offer custom development services. However, you might want to check Envato Studio on which you can find plenty of good professionals that will be ready to help. I love the simplicity of the themes especially the Jevelin one. I love the picture on the top[ of the article. What theme is that? That theme is called Viska and you can find it here. please can you tell me which is the best plugin to make website design responsive? None of plugins will do that. You need to tweak your theme or switch to a new theme completely. Another option is to use completely mobile themes that can be implemented by plugins such as Jetpack and others. Anyone tried Creatista WordPress creative portfolio theme? It’s a clean classic grid design. And I am just curious curious whether it worked for anyone. Great Themes, even if some of them bring a lot of unnecessary data with them. In the age of mobile first indexing something you should definitive take care of!